This is a book that I cannot get through. I started reading this book several years ago, and every time I try to start again, I get bored and put it back on the shelf. Robert tries to connect you with several successful real-estate investors. However, it comes across more like him trying to make a book without writing anything, and sell it by putting his name on it. 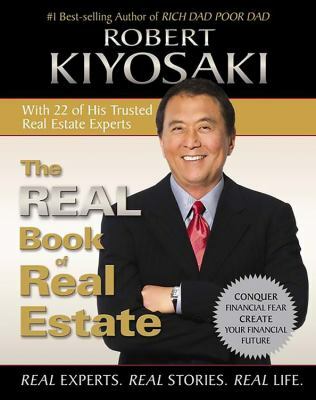 There are some good tidbits about real estate in there, but for anyone that has read any of the real estate books I have recommended, they will be review. Every chapter is a different person writing their own story, and giving their own advice. Half of these people got lucky, and the other half are horrible writers. Either way, my diagnosis is that it's boring, and that's coming from someone that averages 3 non-fiction book a month, mostly FINANCE!